Available from Fergus and Glover, Teeth-in-an-Hour™ is a revolutionary dental implant concept that provides patients with permanent teeth in record time. The system incorporates the magic of CT Scans and 3-D imaging software to accurately assess bone structure, map out the areas to best receive the implants, and create the permanent teeth prior to surgery. This revolutionary system offers a more accurate and safer positioning of dental implants and provides the patient with permanent fixed teeth in about an hour. Traditionally, dental implants have been associated with multiple procedures and long periods of healing. Teeth-in-an-Hour allows the implant dentists at Fergus and Glover to provide patients with fixed, well-functioning and attractive teeth on implants in a single one-hour procedure. Starting with a low dose CT scan in the I-Cat scanner at Fergus and Glover, a custom template is created that is so accurate the final teeth can be constructed prior to the implant placement procedure. 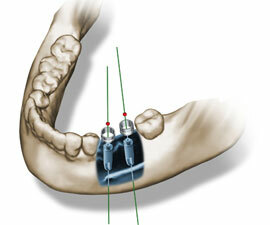 Fixed teeth can be fitted at the same time the implants are placed. Teeth-in-an-Hour™ is made possible through Procera 3D planning software and Nobel Biocare™ technology. It combines a unique planning programme, precision templates and the immediate load concept. Teeth-in-an-Hour allows the patient to leave the chair with dental implants and permanent teeth after a short one-hour, non-traumatic procedure.